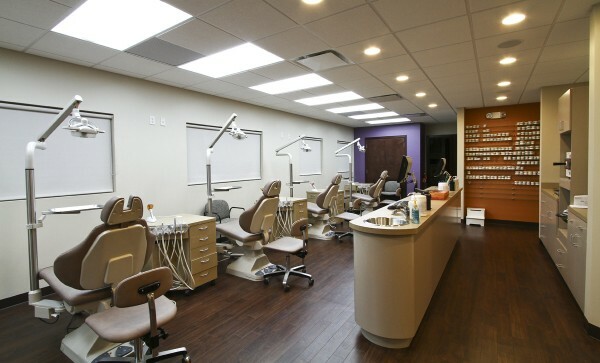 When you come in for your orthodontic appointment with Dr. Andy, you will be in and out before you know it! We know that you’re busy, so we don’t make you sit around in the waiting room all day. Here, we’ve answered some of the most common questions that our patients ask us about their orthodontic appointment. Q. Do you have appointments available after school? Absolutely! Our hours change seasonally, but we always have appointments available after school. However; it’s important to note that our after-school appointments are reserved for our patients who are just coming in for a regular orthodontic adjustment, which includes tightening the wires and changing the bands. These appointments typically only take 15 to 20 minutes. If you’re getting braces put on, removed, or need a broken bracket to be repaired, these procedures could take anywhere from 45 minutes to an hour and half. We want to be able to maximize the number of patients that we can see after school, so longer appointments like these should be scheduled during school hours. Dr. Andy is very gentle when working with your teeth. When you get your braces tightened, you may feel some slight discomfort as the wires are changed, but you certainly won’t experience pain. After you get your braces tightened, your teeth and gums may feel sore, but that’s just a sign of the braces doing their job! Q. How often will I, or my child, have to come in for an appointment? The frequency of appointments depends on what’s being done. With that said, patients typically come in for appointments every four to six weeks. Schedule Your Orthodontic Appointment Today! If you’re thinking of getting braces, contact Dr. Andy’s office to schedule a free consultation. Dr. Andy will examine your teeth and mouth and help you determine if braces are right for you. Give us a call today at (440) 842-8015 or send us an email at info@skororthodontics.com. Connect with Dr. Andy on social media to stay up-to-date on what’s going on at the office! This entry was posted in Office News and tagged Dr. Andy, Orthodontic Appointment. Bookmark the permalink. Follow any comments here with the RSS feed for this post. Trackbacks are closed, but you can post a comment.